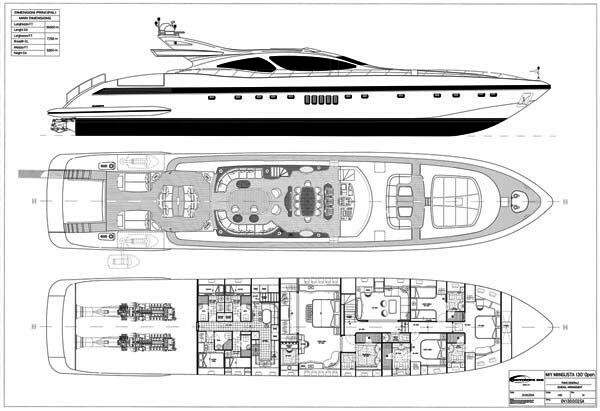 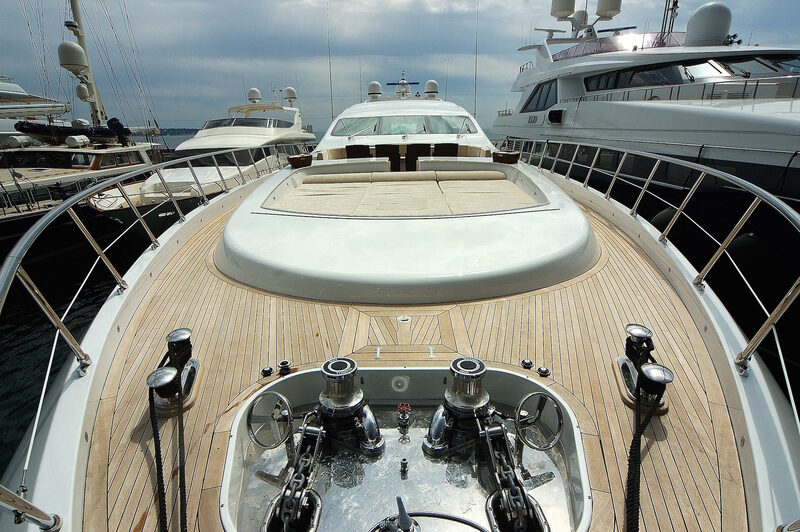 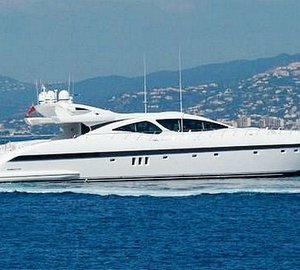 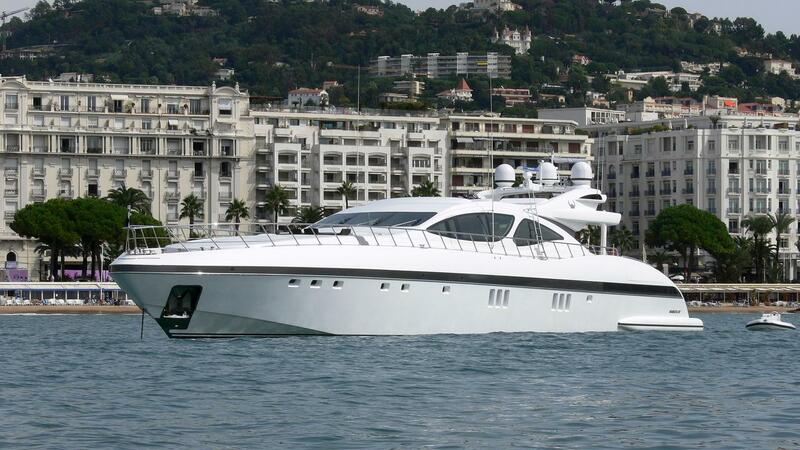 M/Y Celcascor is a 39.65m (130ft) Mangusta 130 motor yacht built in 2006. 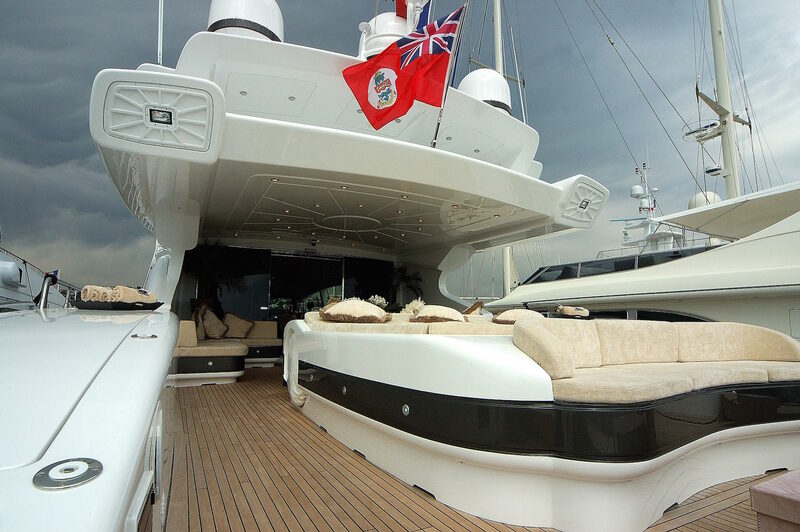 She received a refit in 2015/16 and is ready for a luxury yacht charter. 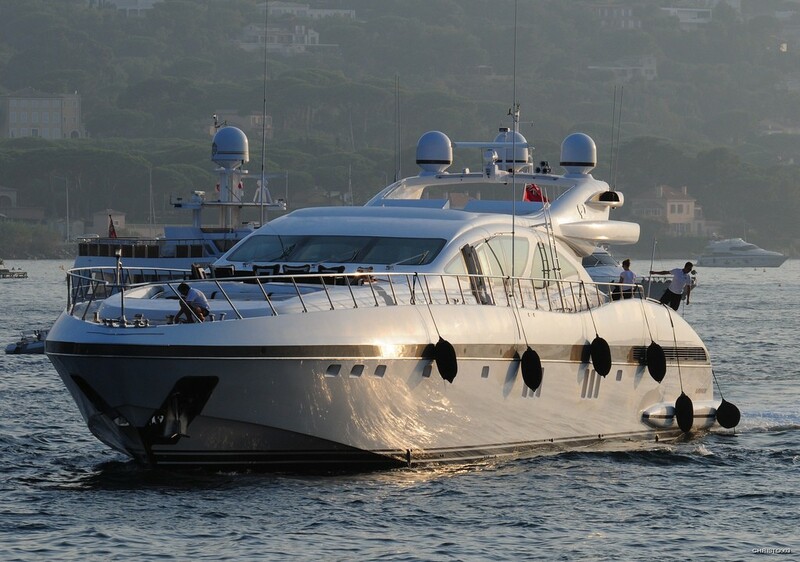 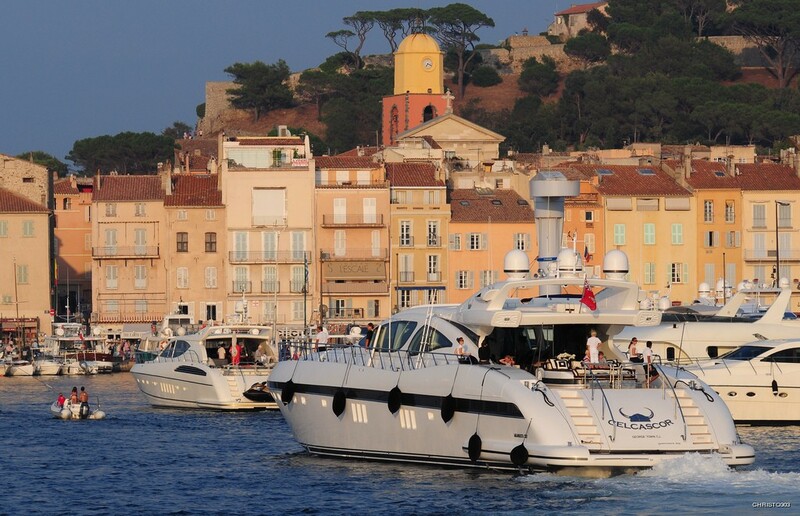 Motor yacht Celcascor can accommodate a maximum of 10 guests sleeping overnight in 3 double cabins and one twin. 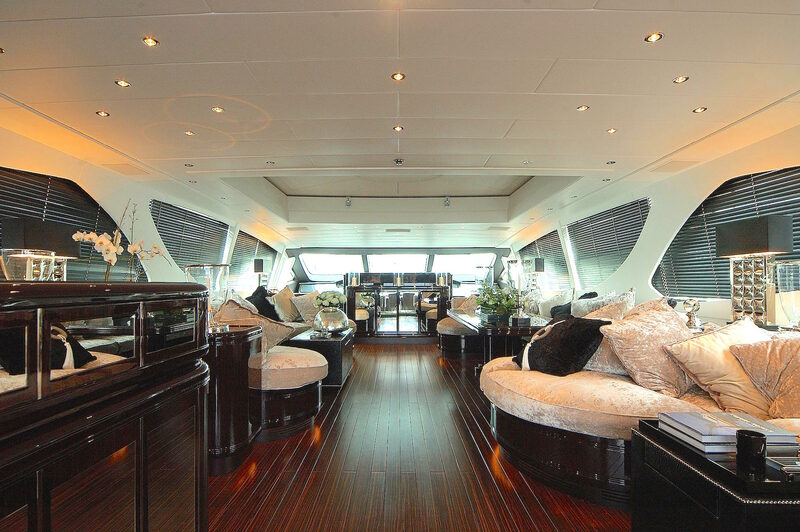 The interior has an elegant and timeless styling. 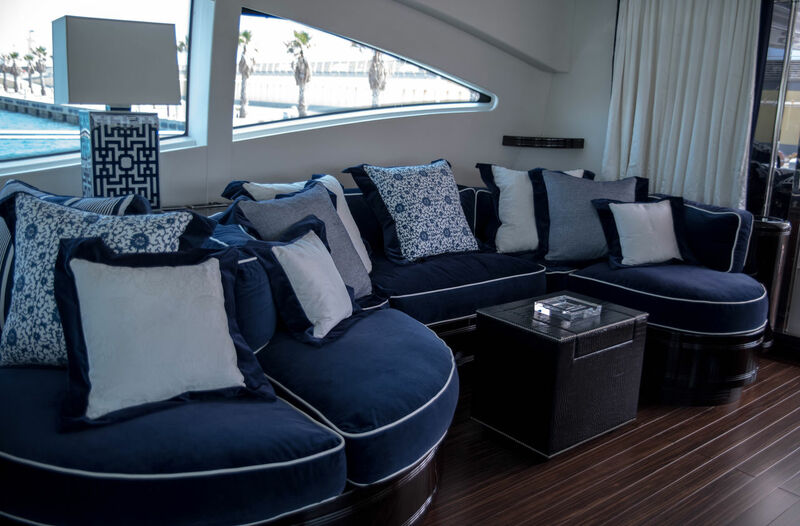 There is lots of space for socializing and gatherings over a cup of coffee or a drink in the lounge area. 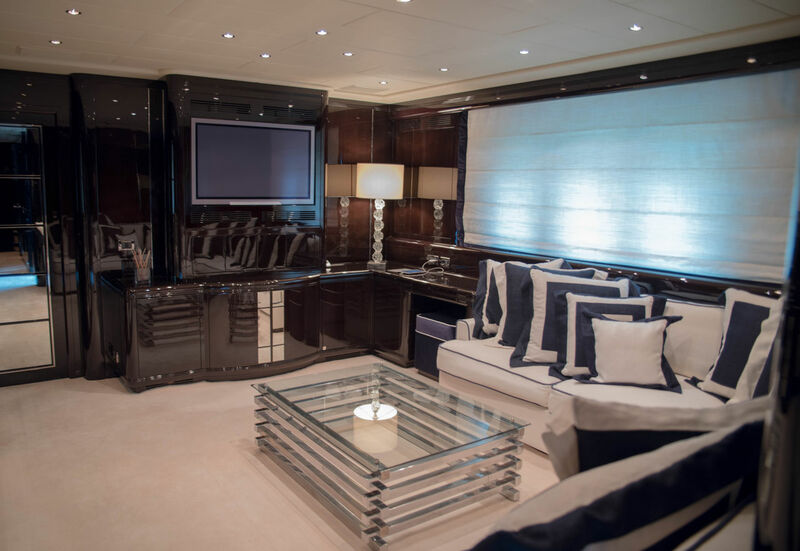 Celcascor has an A/V entertainment system throughout. 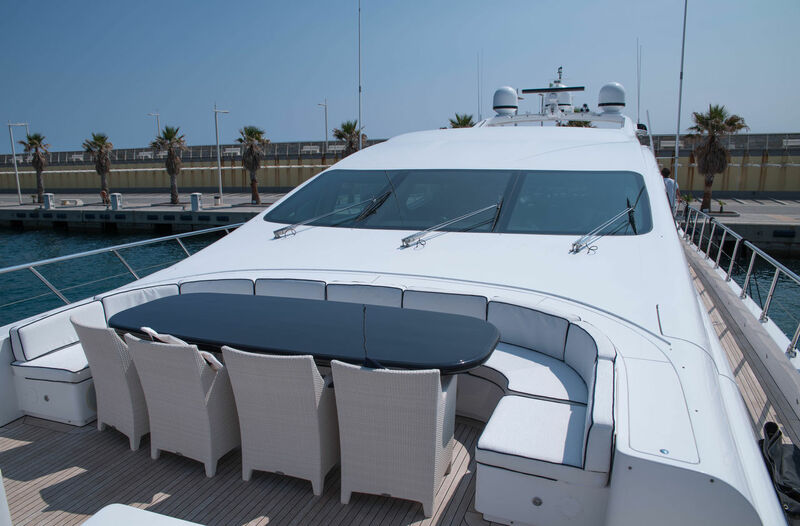 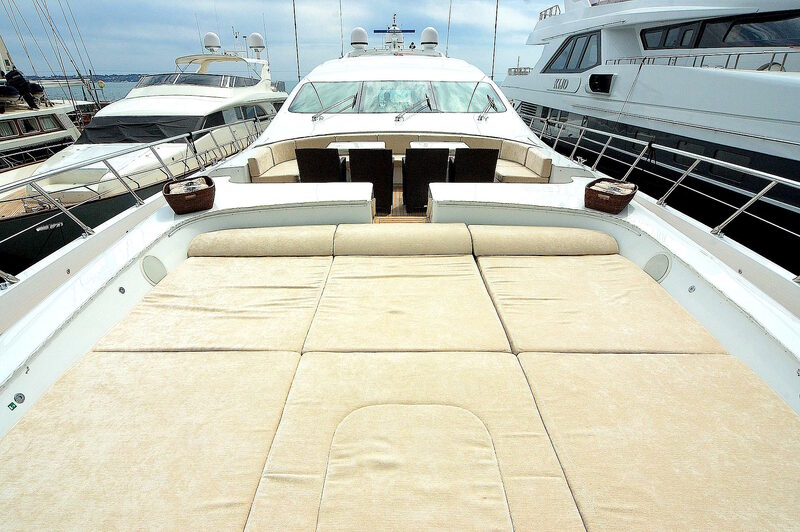 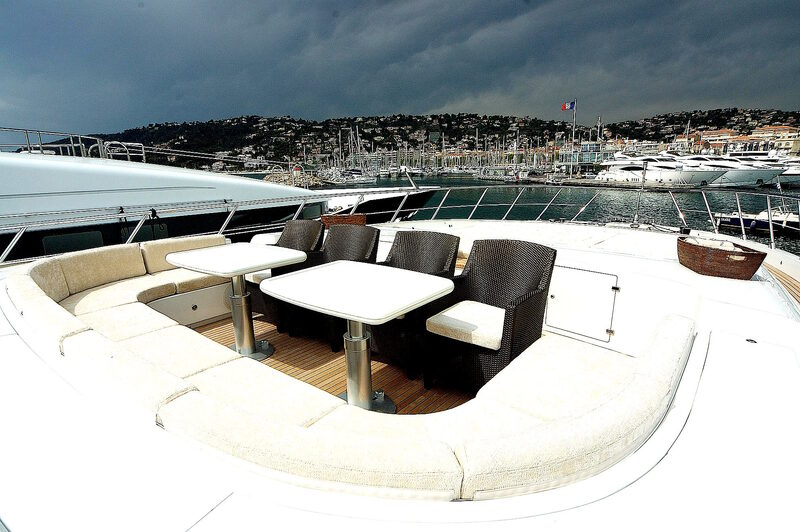 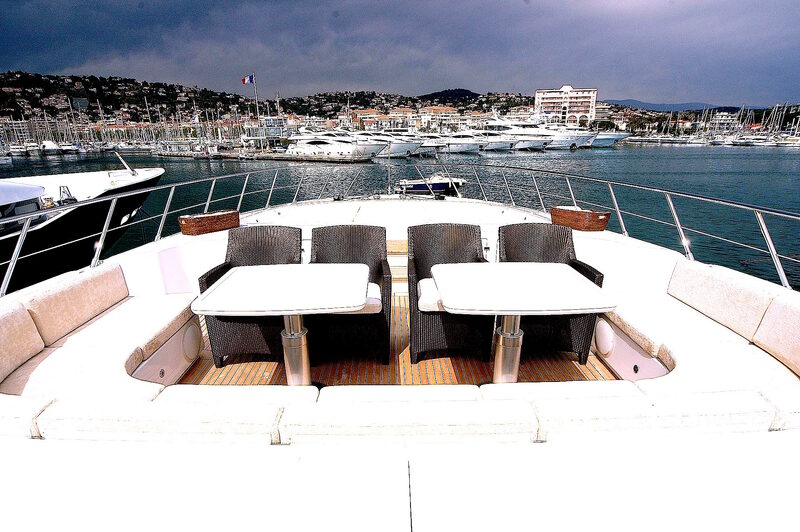 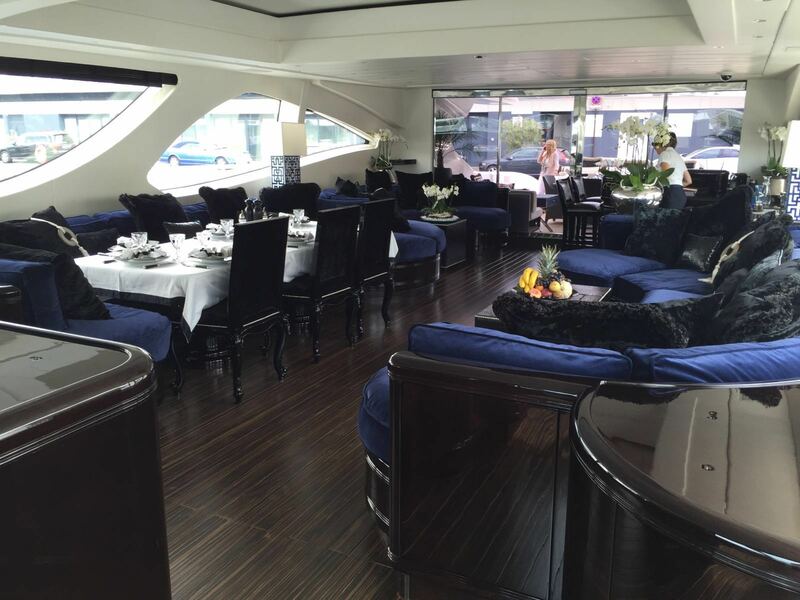 The foredeck hosts a generous seating area and sun loungers. 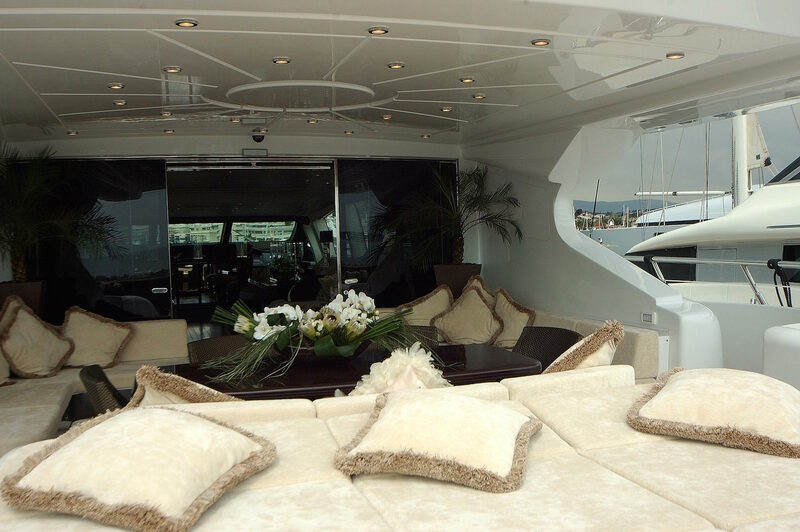 Charter guests will admire the great panoramic views and soak up the sun. 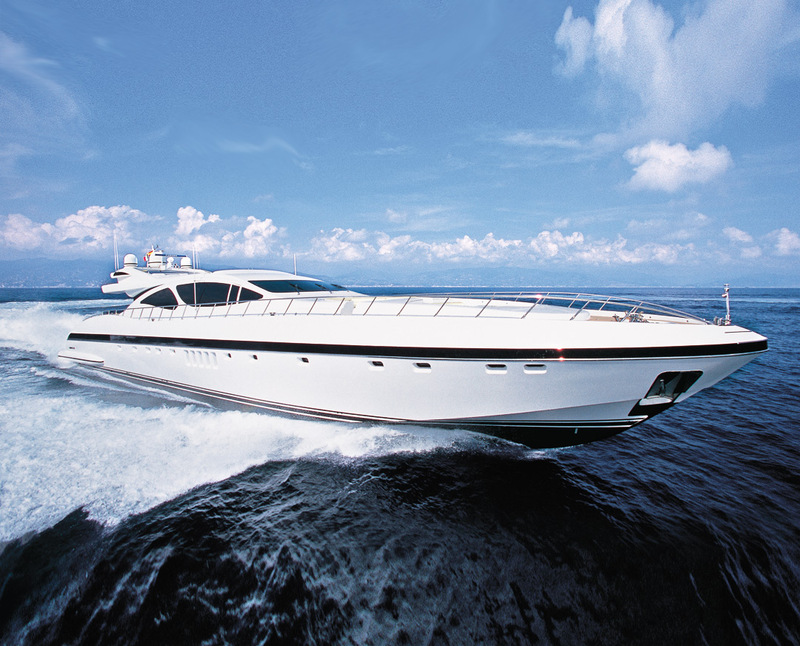 She is powered by two MTU 16V 4000 M90 275 engines, which allow her to reach an impressive top speed of 35 knots. 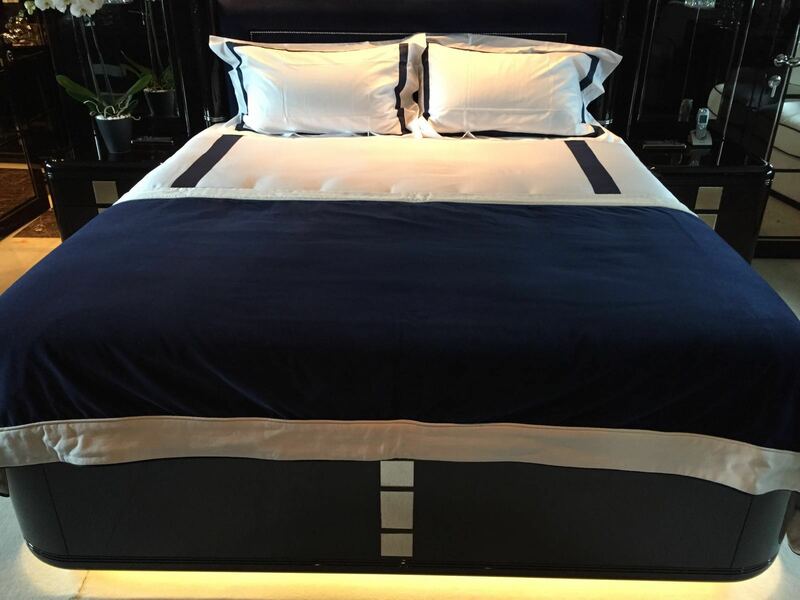 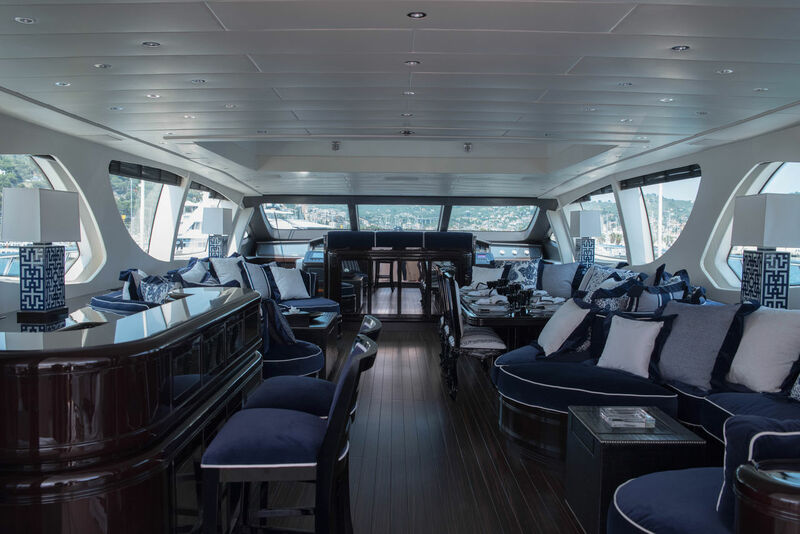 Motor yacht Celcascor can sleep up to 10 guests in 4 cabins - ideally, 6 or 8 adults with up to 4 children / Nanny depending on make up of the charter party. 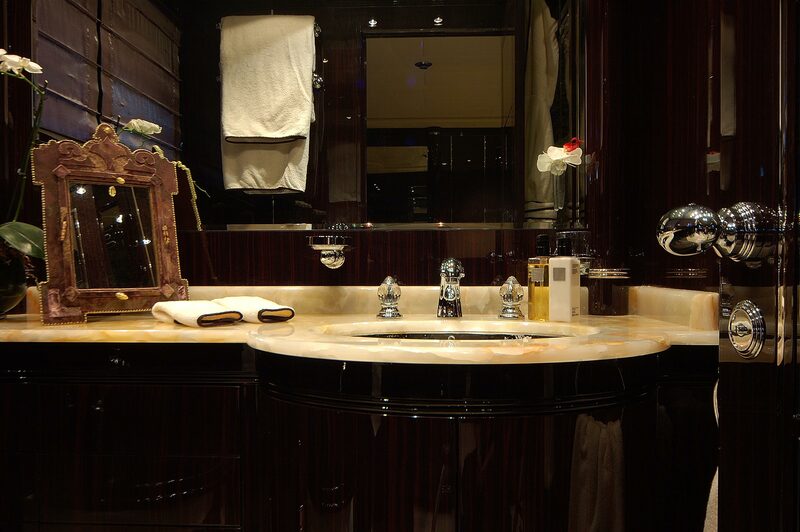 Master stateroom with king sized double bed (2m x 2m), with ensuite facilities including double sink unit and hammam (steam room). 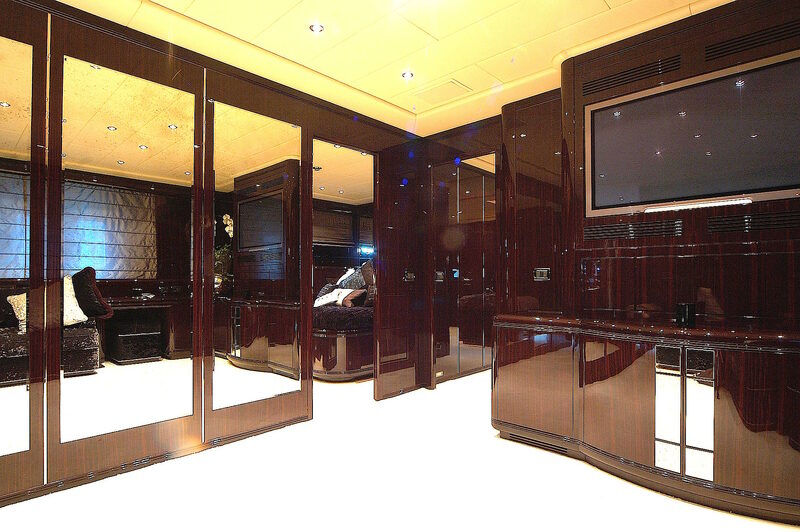 Walk-in dressing room, small room for baby. 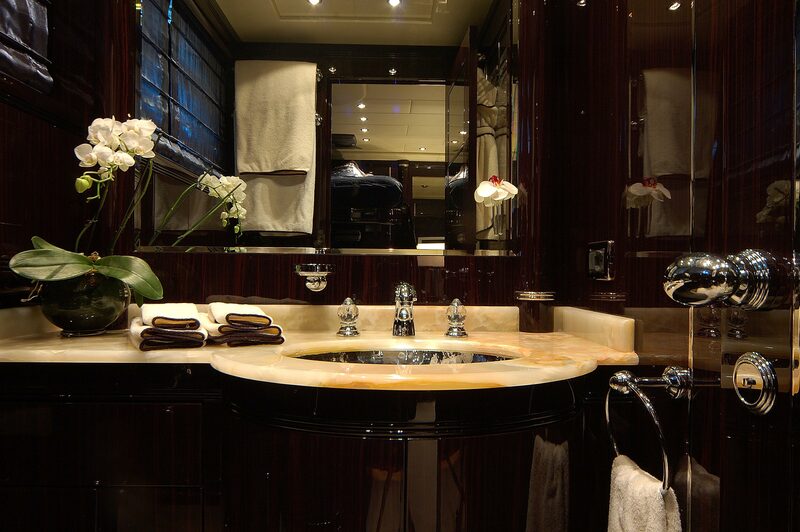 VIP cabin with large double bed (1.5m x 1.9m), ensuite facilities including double sink unit and shower. 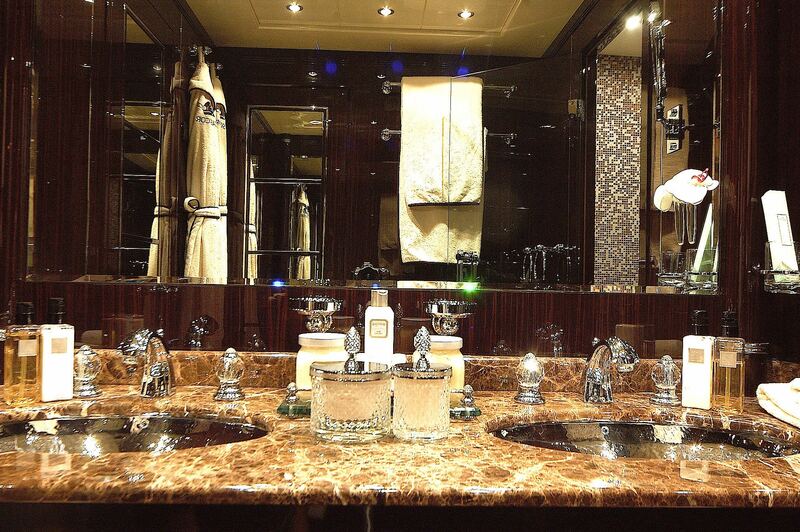 Fwd double guest cabin large double bed (1.5m x 1.9m)and ensuite shower facilities. 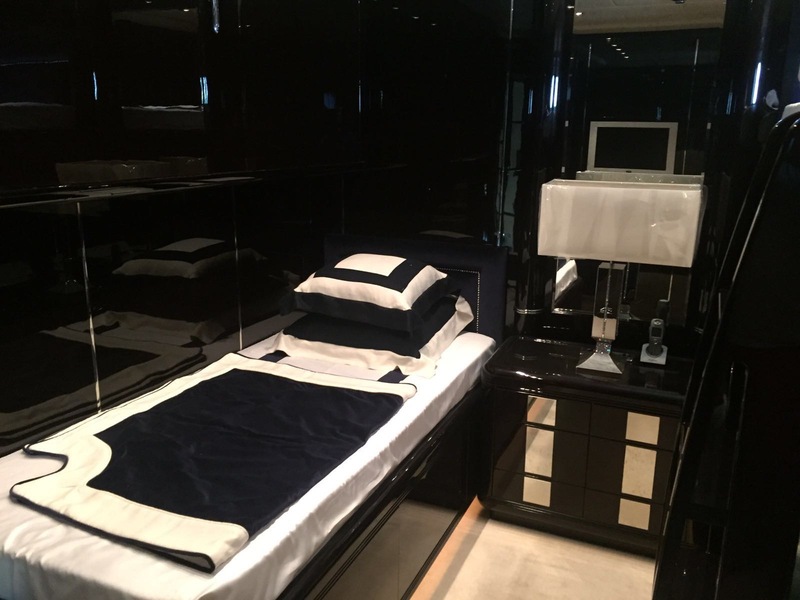 Triple cabin with twin lower beds and a fixed bunk bed this cabin also has an extra Pullman berth giving the possibility of accommodating up to 4 (all beds 0.85m x 1.90m) - apparently, this cabin is more suitable for children or children with a nanny. 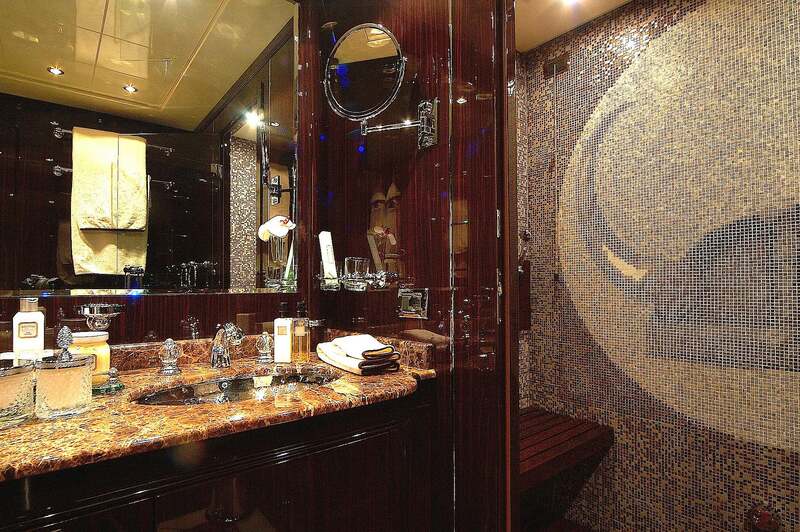 Again with ensuite shower facilities. 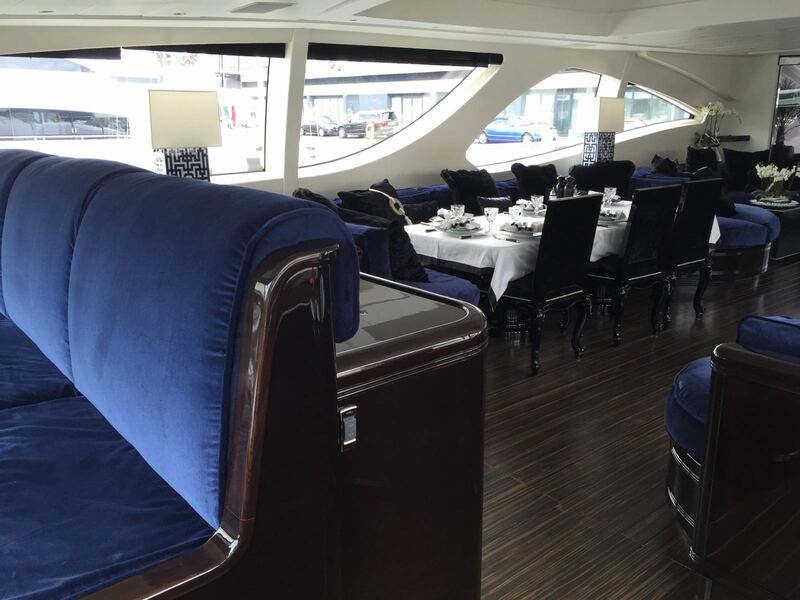 Main deck saloon with bar area, dining area and ample seating under the retractable roof. 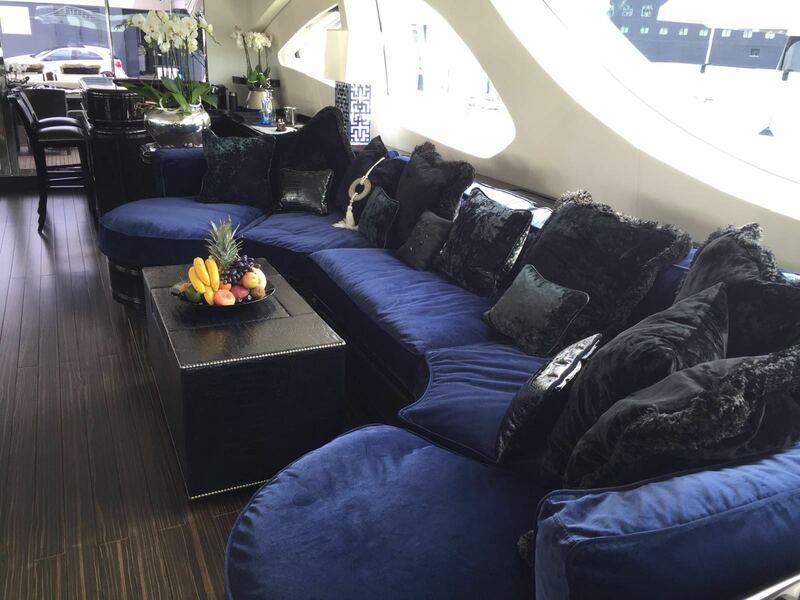 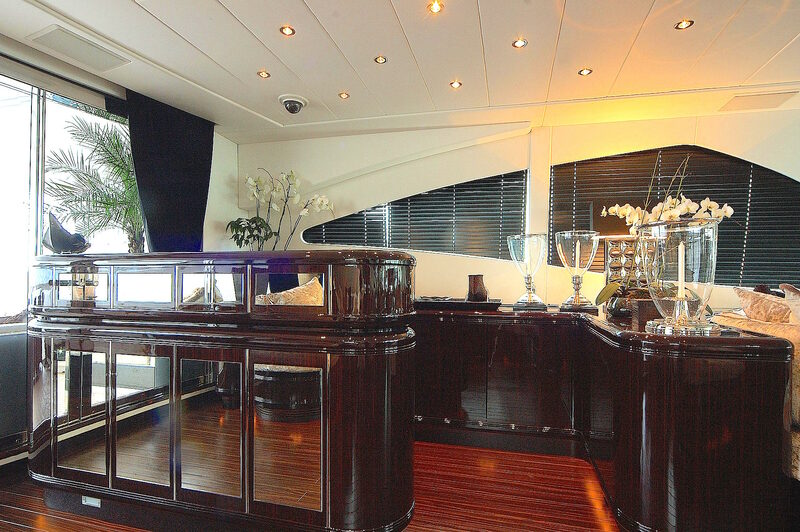 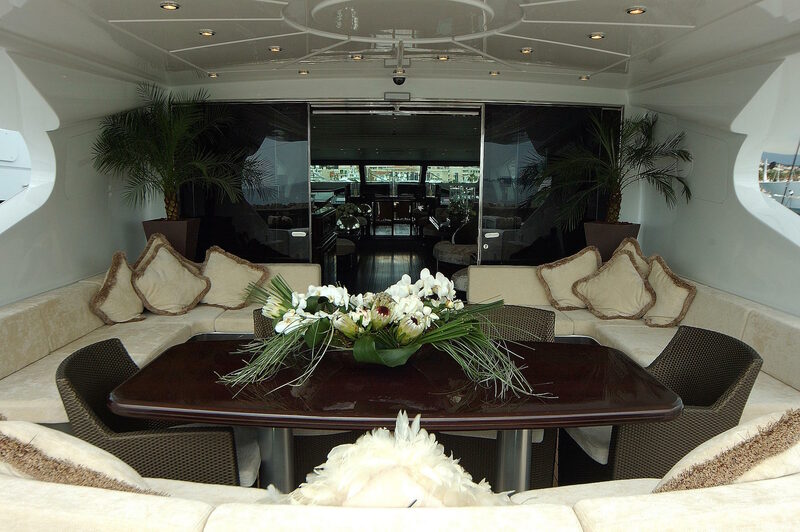 The yacht also has a second lower deck TV saloon. 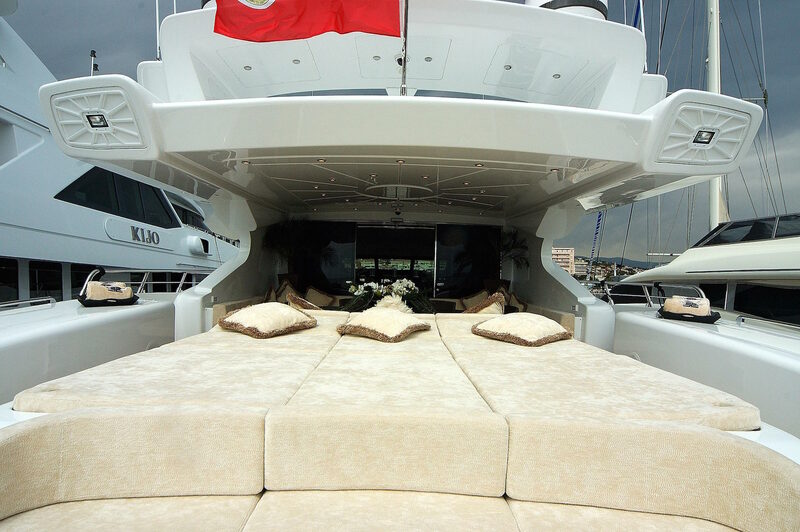 Aft deck with central sun pad shaded by 2 large parasols. 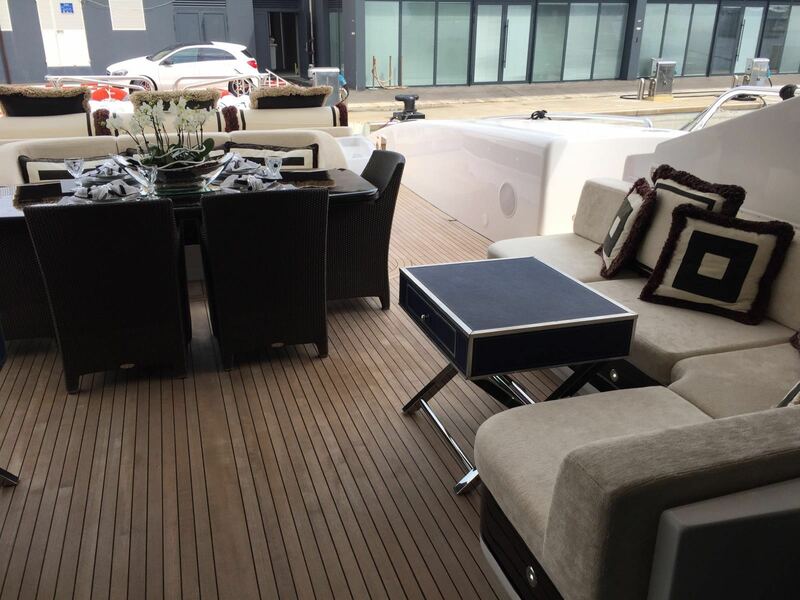 Forward deck has a further dining area with seating for 10 and fwd of this is a large sunbathing area.